Colour lithograph, ink on paper. Intermediate pages composed of printed text. 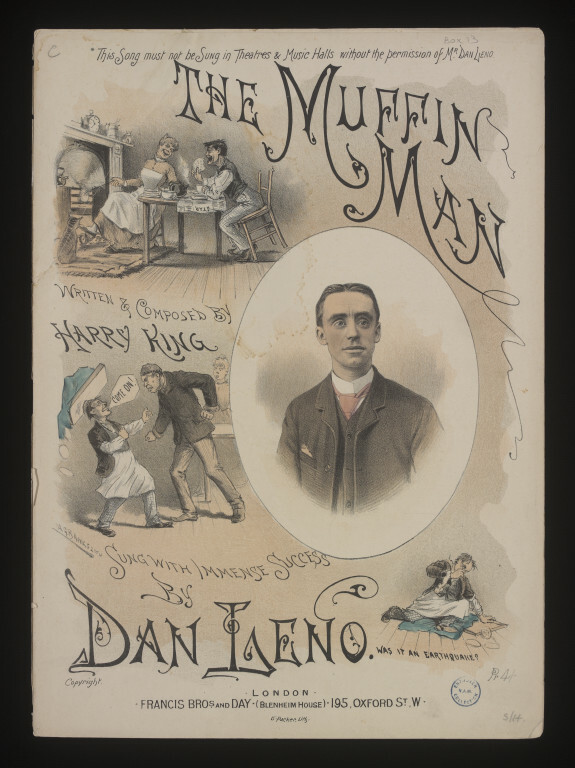 Sheet music cover for The Muffin Man as sung by Dan Leno, written and composed by Harry King. Published in London Francis Bros & Day, 1889. 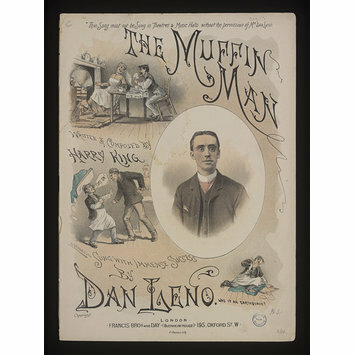 Sheet music for The Muffin Man as sung by Dan Leno, written and composed by Harry King. Published in London Francis Bros & Day, 1889.